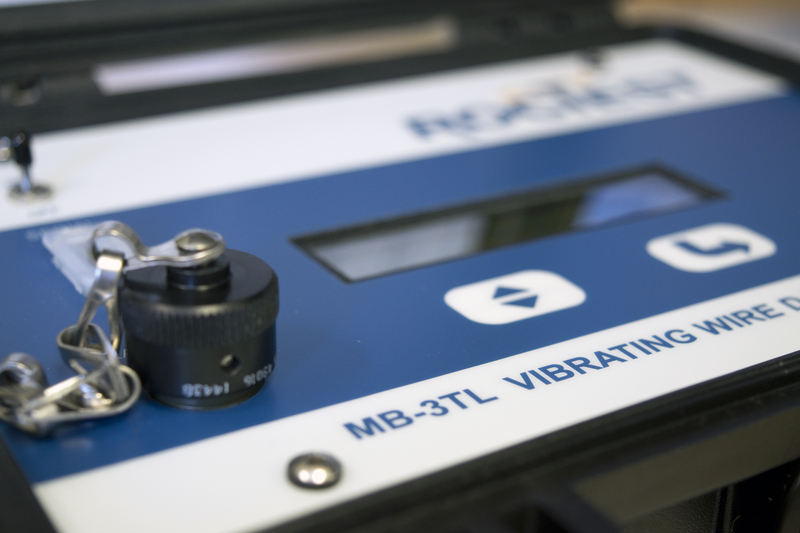 The MB-3TL is a user-friendly readout that provides fast readings for all pluck-type vibrating wire sensors on the market. The MB-3TL is a user-friendly readout that provides fast readings for all pluck-type vibrating wire sensors on the market. Its LCD display shows direct frequency readings (Hz or Hz2) and gauge temperature (including thermistor or RTD). 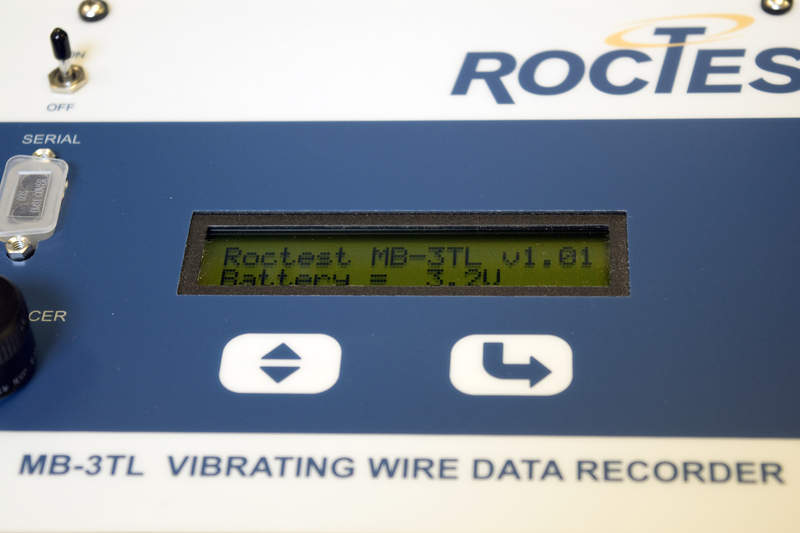 In addition, battery voltage is displayed every time the readout unit is powered on. The unit is ready to be used in the field, even in harsh environments, thanks to its splashproof case, sealed front panel and connector. In addition to the above features, the MB-3TL offers datalogging functions. Its non-volatile memory can store over 8,000 data sets and a sensor ID may be specified when the reading is saved. 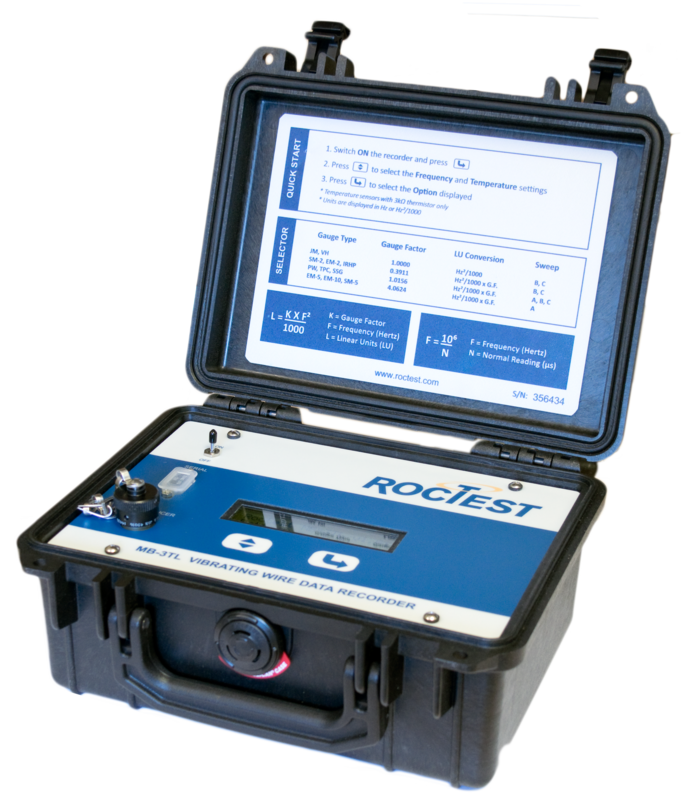 Very easy to use: the operator simply connects the sensor to the readout, selects a sweep and records a reading by the click of a button. No calibration factors to load, so it is always ready to use. The MB-3TL is supplied with a PC compatible software. This software allows easy transfer of data and configurations, editing and logging in formats compatible with programs such as Word and/or Excel.